Memorandum of Understanding or MoU is quite frequently heard terminology. MoU is an agreement between parties for any clause including things related to networking. We usually read about signing Memorandum of Understanding or MoU on the political pages of Newspapers. But, in essence, Memorandum of Understanding or MoU is used for maintaining inter-continental Internet connections too. As can be understood, Memorandum of Understanding or MoU is honored usually between two parties and is bilaterally supported. Formal alternative to a gentlemen’s agreement is Memorandum of Understanding or MoU. It expresses a convergence of will between the parties, indicating an intention to undertake a common policy. It is often used in cases where the parties do not wish to undertake a legal commitment or in situations where the parties can not create a legally binding agreement. Many companies and government agencies use MoUs to define relationships between departments, agencies or companies. In practical life, you might hear, some company’s director is stating that – “We have signed MoU with the Government”. MoU is more towards business relationship for using, sharing or allowing to use the resources than towards core political agreement. The Number Resource Organization (NRO) is an unincorporated organization uniting the five RIRs. It came into existence on October 24, 2003, when the four existing RIRs entered into a memorandum of understanding (MoU) in order to undertake joint activities, including joint technical projects, liaison activities and policy co-ordination. This is an example of usage and importance of MoU in Networking. A regional Internet registry (RIR) is an organization that manages the allocation and registration of Internet number resources within a particular region of the world. Internet number resources include IP addresses and autonomous system (AS) numbers. As it is not possible to go to frank legal commitment, this kind of agreement is made. This Article Has Been Shared 5116 Times! 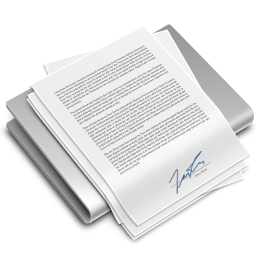 LaTeX is a typesetting system for document preparation and works as document markup language. LaTeX uses the TeX typesetting program for formatting the output. Loan options are given for building business to the government, companies, individuals by credit agencies, Private institutions or foreign credit institutions. Why is my WordPress so SLOW is most frequently asked question. You need to understand how WordPress works, what is the purpose of its usage and what to do. Cite this article as: Abhishek Ghosh, "Memorandum of Understanding or MoU," in The Customize Windows, December 3, 2013, April 21, 2019, https://thecustomizewindows.com/2013/12/memorandum-of-understanding-or-mou/.